Read the 2016 Physical Rehabilitation brochure. 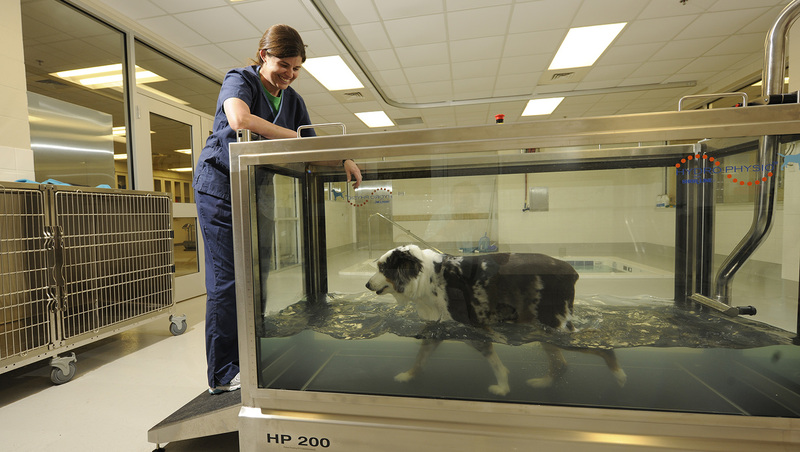 The use of physical rehabilitation to assist in an animal’s recovery is a well-accepted practice for veterinary patients. Therapy targets restoration of physical function for animals with diseases caused by weakness, loss of coordination, inability to stand or walk, or other problems with mobility. It can also be a successful weight loss program for pets. With a mission of improving the quality of life for animals and their owners, The Physical Rehabilitation Service addresses the individual needs of the patient, be it post-surgery, non-surgical, osteoarthritis, a neurologic disorder, soft tissue injuries, or weight management. Read the “Club Chub” brochure: a program in the Physical Rehabilitation Service focused on helping overweight pets. 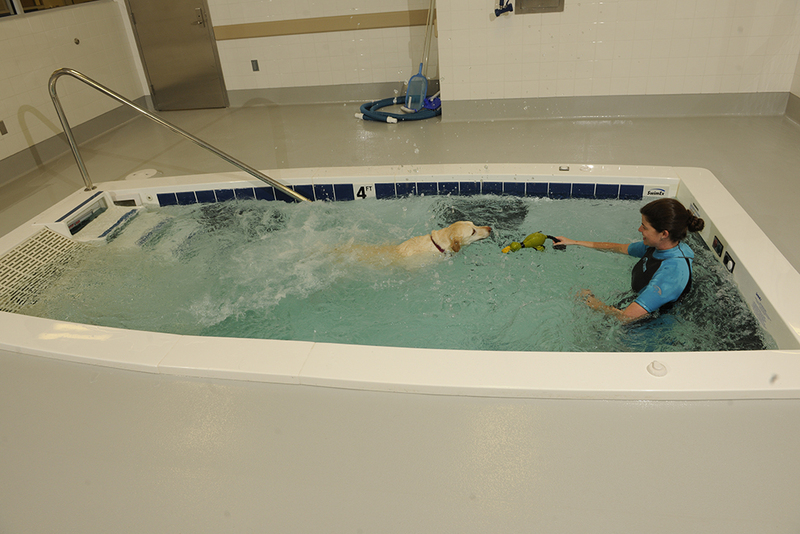 The Physical Rehabilitation Service creates a program catered to your pet’s specific needs to increase the rate of recovery from surgery or injury, improve function, assist with weight loss, increase mobility and strength, and improve your pet’s overall quality of life. A veterinarian will assess your pet and determine the medical issue, followed by a rehabilitation examination by a Certified Canine Rehabilitation Practitioner. Therapeutic exercises, massage therapy, neuromuscular electrical stimulation (NMES), and thermal therapy technologies are also available to improve your pet’s recovery and improve their physical health. 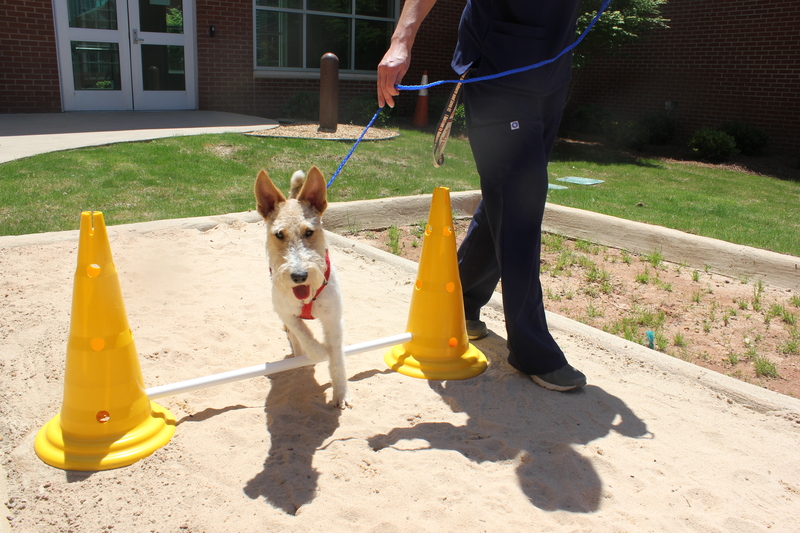 The Physical Rehabilitation Service creates an optimal care plan for your pet, and works collaboratively with a number of other services in the Veterinary Teaching Hospital, including the Auburn University Veterinary Clinic, Neurology/Neurosurgery and Orthopedics. Certified Canine Rehabilitation Practitioner Liz Hodson, who is also a licensed veterinary technician, leads the Physical Rehabilitation Service.